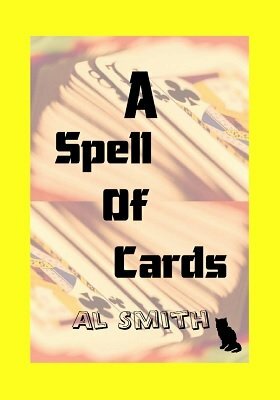 An intriguing selection of card effects, A Spell Of Cards is not wholly concerned with spelling tricks. There are more than several offering a sideways glance at the concept. They take the spelling genre a little bit off the usual well-beaten track. Among the non-spellers, there are a few move-related fragments. Nothing to run and hide from, though faro shuffles and bottom deals get a look in along the way; as well as established favourites like the Braue Addition, Double Undercut and the odd false shuffle. Anybody who likes cards and is not completely allergic to spelling effects should find something here to soothe, and smooth those workaday blues. 1st edition 2004, 58 pages.